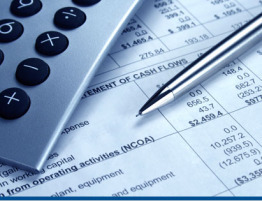 Do you need to adjust your federal income tax withholding amount? If your taxes are significantly underwithheld for the year, you risk being hit with a nondeductible IRS interest rate penalty. If your taxes are significantly overwithheld for the year, you are basically making an interest-free loan to the government when you could be putting that money to work for you. Neither situation is good. The simplest way to correct your withholding is by turning in a new Form W-4 (“Employee’s Withholding Allowance Certificate”) to your employer. Taking this action now will adjust the amount of federal income tax that is withheld from your paychecks for the rest of 2014. Specifically, you can adjust your withholding by increasing or decreasing the number of allowances claimed on your Form W-4. The more allowances claimed, the lower the withholding from each paycheck; the fewer allowances claimed, the greater the withholding. If claiming zero allowances for the rest of the year would still not result in enough extra withholding, you can ask your employer to withhold an additional amount of federal income tax from each paycheck. While filling out a new Form W-4 seems like something that should be quick and easy, it’s not necessarily so – because the tax rules are neither quick nor easy. 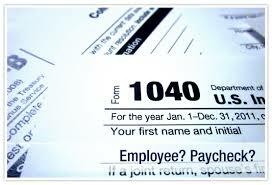 Fortunately, there is an online Form W-4 calculator on the IRS website at www.irs.gov that can help to make the job simpler. From the IRS home page, click on the “More …” link under “Tools.” Then click on the “IRS withholding calculator” link. You will see the entry point for the online calculator. It’s pretty easy to use once you assemble information about your expected 2014 income and expenses, plus your most recent pay stub and tax return. Please understand that the IRS calculator is not perfect. (Remember, it’s free, and to some extent, you always get what you pay for.) However, using the calculator to make withholding allowance changes on a new Form W-4 filed with your employer is probably better than doing nothing, especially if you believe you are likely to be significantly underwithheld or overwithheld for this year. Of course, if you want more precise results, we would be happy to put together a 2014 tax projection for you. At the same time, we can probably recommend some planning strategies to lower this year’s tax bill. Contact us for details.